The BMW 3 series is a car for enthusiasts, one that evokes poise, performance, handling and refinement. It has become popular the world over because it is affordable, small yet roomy and a fun driver's car. Handling is crisp; the powerful four and six cylinder engines rev easily and put out satisfying power. It is solid and safe, and the 3 series are reasonable cars as far as reliability, comfort and economy. Is it the best of all worlds, or the ultimate driving machine? Millions have endorsed both ideas since the first 316 replaced the venerable 2002 in 1975. The 325i was the upgraded replacement for the 323i, introducing the 2.5 liter straight 6 in 1985. It offered 121 hp, upped to 169 one year later. The third generation 3 series was produced on the E36 platform from 1990 to 1995, and the 325i was offered in sedan and touring versions, along with coupes and convertibles, which carried the model number 325iC. In 1996, the engine was once more upgraded into the 328i series. In 2001, the 325i returned in the fourth generation E46, replacing the 323i with a new 184 hp engine for the US and 192 hp variant for Europe. In 2004, the fifth generation 3 series was introduced, and the 325i was available on the E90 platform with the 2.5 liter six rated at 215 hp, and by 2006 the 325i also shared the 3 liter 215 h engine with the 330i. The current 6th generation 325i still shares the 3 liter six with the 330 and 335, but is a detuned version, only putting out 215 hp. 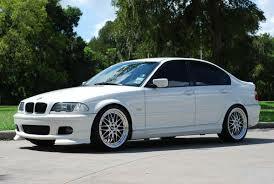 Whatever you're looking for, eEuroparts.com will deliver the BMW 325i parts you need, fast. 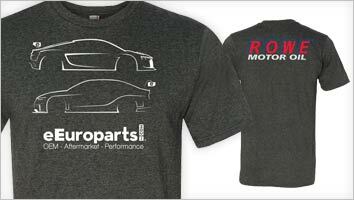 As always, free shipping is available on your BMW 325i parts order totaling $50 or more.